We are medical doctors who specialize in kidney (renal) disease and hypertension (high blood pressure). Some common conditions treated include chronic kidney disease (CKD), dialysis, post kidney transplant management, kidney stones, hypertension, edema (swelling) and electrolyte disorders. 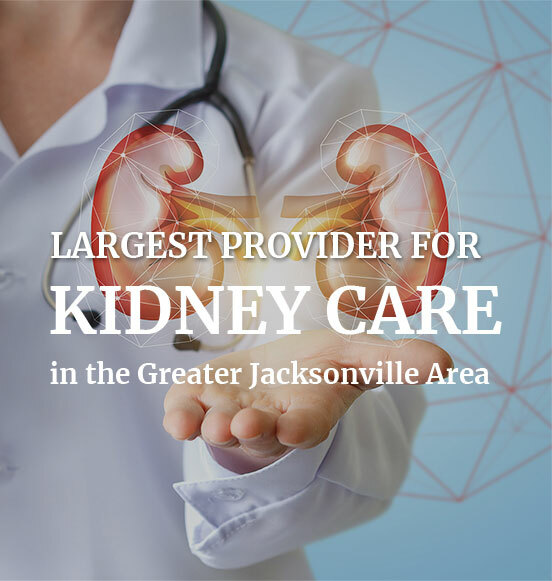 As we are the largest Nephrology practice in the greater Jacksonville area, we have offices throughout Northeast Florida and Southeast Georgia.